Wind farms are typically located in harsh environments where it is exposed to shock, vibration, dust, moisture, and extreme temperatures. 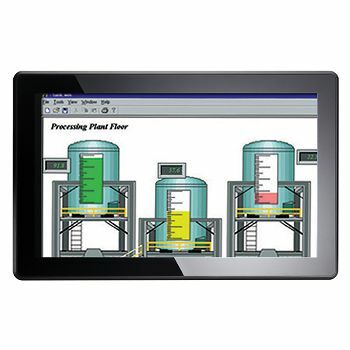 To generate, distribute and manage energy effectively, Axiomtek’s iCON, rBOX and HMI products provide all the tools you need to have a highly reliable industrialgrade network infrastructure. The iCON series consists of Ethernet switches, serial device servers and media converters all with IEC 61850-3 and IEEE 1613 certification, giving you the capability to manage smart grid more efficiently and intelligently. 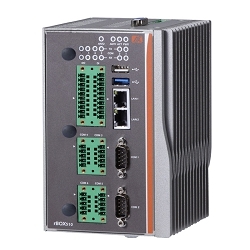 Rigorous quality control and fanless design of Axiomtek’s rBOX embedded computers help prevent system failures and feature convenient installation and maintenance for communication control in power plant management, electricity distribution and control system. 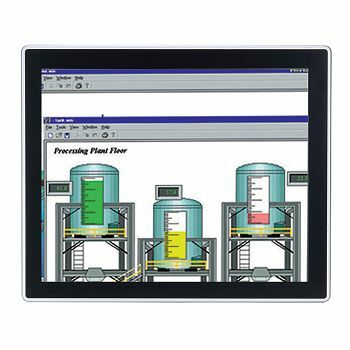 Human Machine Interface (HMI) systems are used to provide energy analysis and control, allowing users to take action for better energy management. On a wind farm, the distance between wind turbine towers could be miles apart, and wind turbines are prone to electrical interference. 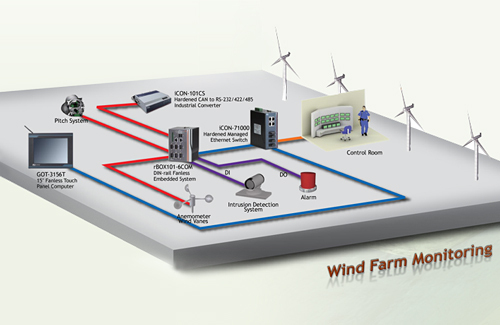 It is essential for wind farms to employ rugged networking devices with long distance transmission capability for remote monitoring in harsh environments. 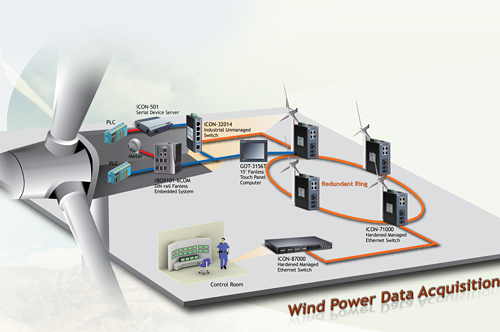 Remote monitoring systems are used to collect and organize data generated from wind turbine towers and substations so that users in the control center can accurately control operation on the wind farm. 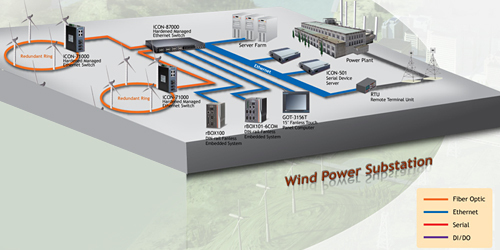 The control center manages the state of power energy and integrates different types of power plants together. With Axiomtek’s extremely reliable and non-stop network and computing solutions, you will not only achieve, but exceed your operational goals through better management of data, assets and operations. Axiomtek's media converters are designed to operate in harsh environments at temperatures ranging from -40°C to 75°C (-40°F to 167°F). Whether on the factory floor or the street corner, the media converter will provide flawless communications. It may be DIN rail or panel mounted, and comes with power options to match the applications that require a tough, environmentally hardened media converter. Axiomtek's redundant ring managed Ethernet switches support fast recovery time (<15mS) keeping your industrial Ethernet applications running nonstop. If the primary communication path is disconnected, the redundant ring technology will provide a redundant path in the network within 15mS. The IP30 aluminum housing with DIN-rail or panel mounting helps dissipate heat efficiently making it perfect for space restricted applications. This series can be configured smartly by a web browser, CLI, and windows utility. Axiomtek's industrial unmanaged Ethernet switches are designed to operate in the harsh environments at the edge of the network. They are available in standard 10/100Mbps and Gigabit 10/100/1000Mbps speeds, with both copper wire and fiber optic cable connections. Except to the Ethernet generic switches, the PoE (Power over Ethernet) switches that send both power and data through an Ethernet cable are also available. All of the switches feature DIN-rail or panel mounted, and come with power options to match the applications that require a tough, environmentally hardened Ethernet switch.